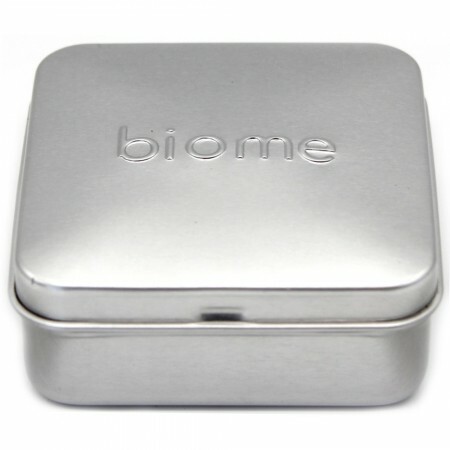 This multi-purpose aluminium tin is the perfect eco-friendly solution to all of your travelling, packing, and DIY needs. Handy 8cm x 8cm size. This is not leak proof, so not suitable for liquids. Perfect for soap or anything solid that will not melt in the heat, vitamins and tablets. Using reusable packaging and containers means less waste ends up in landfill. Aluminium is 100% recyclable and does not lose properties or quality during the recycling process. Recycling aluminium uses only 5% of the energy used to create new aluminium and emits only 5% of the greenhouse gases. Square container with pop-on lid. Fill with your homemade body/face wax, natural sunscreen or zinc, natural deodorant, solid perfume - but do not allow them to melt to liquid form. Not 100% leak proof. Can be used to store packaging free soaps and bars. A convenient way to transport small items such as pills, vitamins and loose change. 8 x 8 x 2.8cm. Aluminium can be endlessly recycled. Ask your local Council for more details. Browse our other eco-friendly packaging and utensils. Use mine for a shampoo bar when travelling, do have to half it but do this anyway as they say it makes them last longer. Great size and price. It was smaller than I expected when it arrived (I didn't read the description well enough), but my daughter has decided it hers and puts all her little trinkets in it. A great size for travelling, plus it's plastic-free!